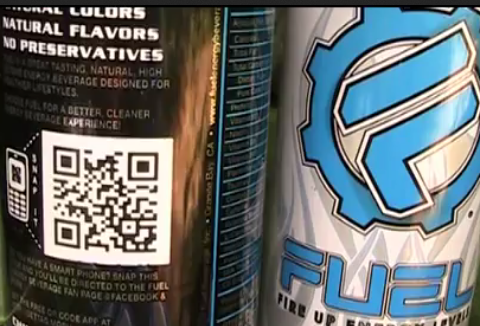 FUEL Energy Beverage use QR codes leading to video on 200,000 Cans. When scanned it leads you to DJ MusicJanner’s Official “Going To Vidcon” music video. It is the first Vidcon video to be linked from the QR Code. Watch the video after the break. Over the next two weeks, the QR Code on the FUEL Energy Beverage can will link to fresh Vidcon videos. One of the prizes of the VidContest is for the FUEL QR Code to link to a YouTube video of the contest winner. In the future, sponors will be seeking compelling video content that will be linked from product packaging and printed material.